Maria’s gardening hobby and Kevin’s professional irrigation expertise have combined to turn this garden into a delightful place with many features to enjoy. The thick manicured grass in the front yard surrounds a bed of Panicle Hydrangeas (Hydrangea paniculata) shaded by multi-trunked birches. The back garden is entered through the Secret Shade garden, and there are bright yellow-leaved oakleaf hydrangeas (Hydrangea quercifolia ‘Little Honey’) on the right and compact oakleaf hydrangeas (H. q. ‘Pee Wee’) on the left. A weeping lace leaf Japanese maple(Acer palmatum ‘Red Dragon’) dominates a waterfall and Koi pond. 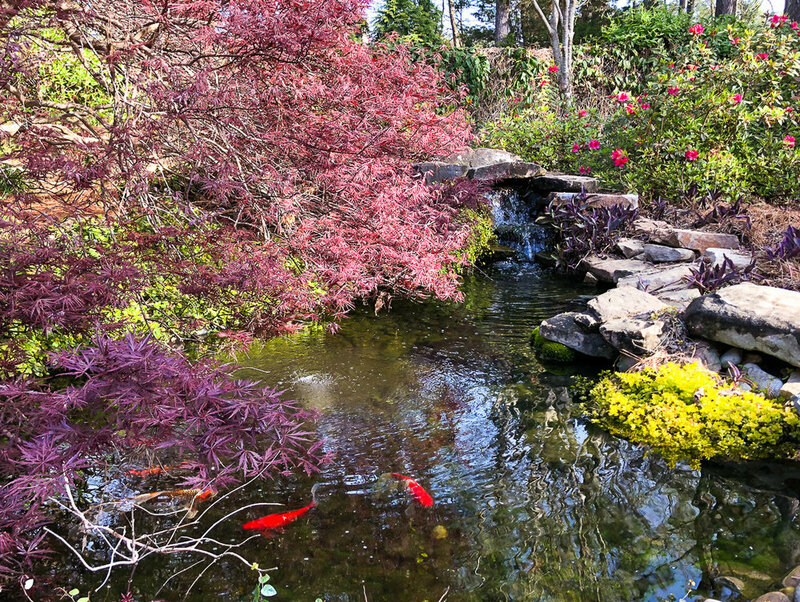 Other notable features include a potted ‘Viridis’ Japanese maple surrounded by moss, a frog pond bordered by hostas, an Orangeola Japanese maple and a Japanese dogwood (Cornus kousa). A vigorous cross vine (Bignonia capreolata) covers the back fence and a bubbling fountain made of Turkish coral completes the picture. A walk along the boxwood-lined path, past a brick wall covered in creeping fig (Ficus pumila), leads visitors to the vegetable garden. Standing at each corner of the raised stone beds are potted citrus trees (tangerine and lime). 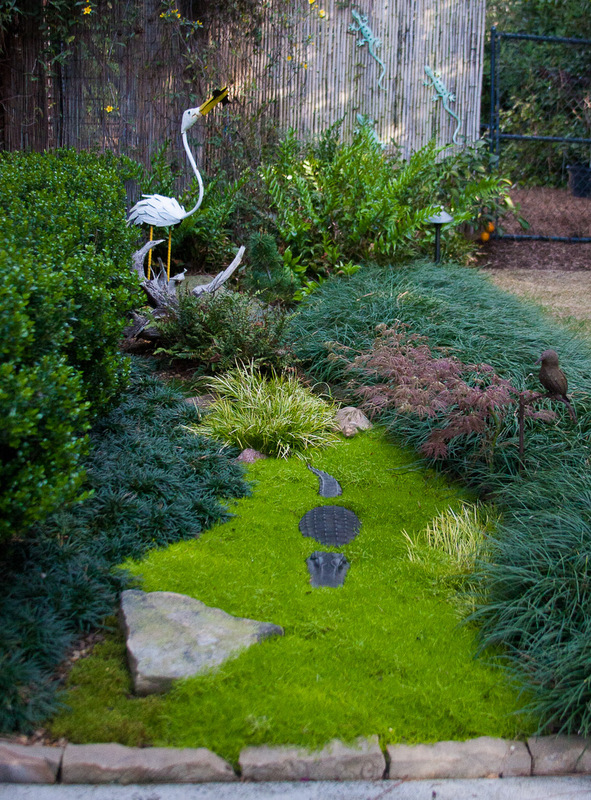 Next is the alligator garden with groundcovers of Scotch moss (Sagina subulata)and Mondo grass, a Dr. Brown Japanese maple and miniature Japanese white pines (Pinus parviflora ‘Tansu Kazu’). 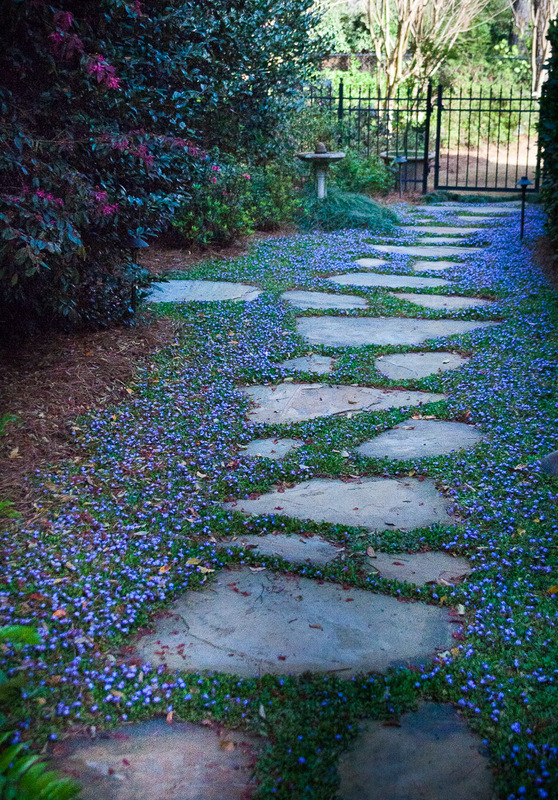 Before you leave the back garden, notice the large open expanse planted with blueberries (Vaccinium sp.) and ‘George L. Taber’ Azaleas. 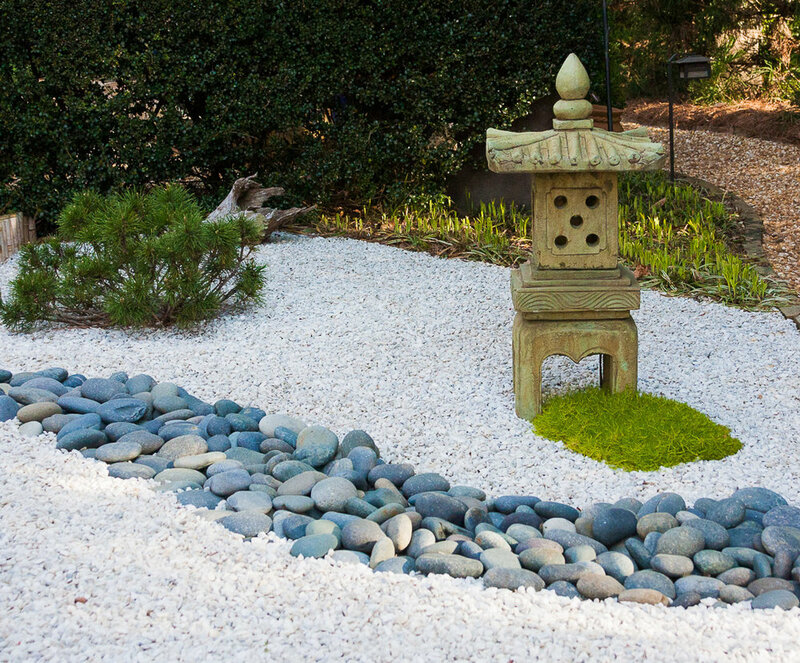 Final spots of interest are a small greenhouse covered with jasmine and the gravel and stone Zen Garden.